Each individual matters in our community and we offer accommodation in community homes of various sizes to suit individual needs. We focus on supporting and enabling people through community life. Our households are not just collections of individuals. Everyone has their own private space but each house is also a group of people who benefit from and enjoy living together. Everyone helps to create the atmosphere of the household and to look after the house itself. The steady rhythm of daily life with regular mealtimes and the routine of housework is an important expression of a shared life. Being person centred however also means that everyone can be themselves and have their own habits and tastes whilst benefiting from the aspects of community life. We aim through the rhythm in our households and with each individual support plan to enable and facilitate the skills that we all aspire to for an independent, healthy and balanced life. 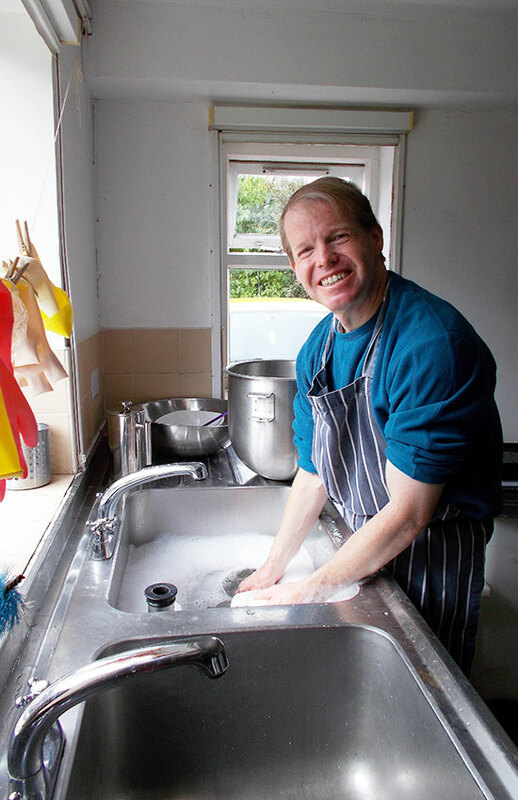 Whether choosing a favourite dish or ingredients to cook and learning important kitchen skills, or being supported to do your laundry and ironing, we are there to support with the practical aspects of daily living. This also includes help where necessary with personal care and medications. As a social care provider Orchard Leigh community is visited and inspected by the Care Quality Commission, the independent regulator of health and social care in England. CQC visit findings are available online, or are available to download in full.